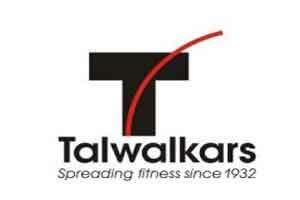 New Delhi : Fitness chain Talwalkars Better Value Fitness Ltd announced the acquisition of 50 per cent stake in Chennai-based yoga studios chain Zorba for an undisclosed sum. “Talwalkars Better Value Fitness Ltd (TBVF) has entered into a Memorandum of Understanding (MoU) with Zorba – A Renaissance Studio, a chain of yoga studios having operations in Chennai. As per the terms of the MoU, TBVF shall acquire 50 per cent stake in Zorba’s rapidly growing Yoga Studios business,” the company said in a BSE filing. In November, Talwalkars acquired majority stake in another Chennai-based fitness firm Inshape Health and Fitnez Pvt Ltd (IHPL) in an all-cash deal for an undisclosed sum. IHPL operates three gyms in Chennai.